The F-35 Joint Strike Fighter program is the most expensive military program in the world, so it should be no surprise that the F-35 aircraft are loaded with powerful weapons controlled by powerful computers. Unfortunately, the guns don’t fire yet, and the computers still don’t work right. 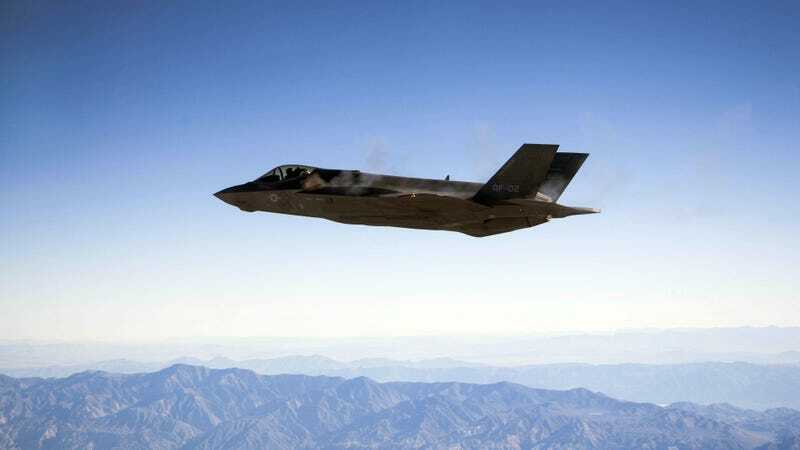 A Pentagon official released a damning report on Monday detailing a stunning number of deficiencies that still plague the troubled F-35 fighter jet. The report is particularly important because the Air Force is supposed to announce that its version of the aircraft will be operational by the end of the year. However, the new Pentagon report clearly states that the aircraft should not be flown in 2017 given the number of bugs that need to be fixed. The document lays out dozens of problems facing the F-35 in all variants of the aircraft, many of which are caused by software failures. This is especially troubling because the F-35 relies on special computers to keep both the aircraft and its weapons operational. Computers actually control just about every component on the new jet, and that’s actually become the F-35's greatest weakness. One group of bugs reported is particular to the variant of the F-35 that the Marines are using. The bugs are found “in fusion, electronic warfare, and weapons employment result in ambiguous threat displays, limited ability to respond to threats, and a requirement for off-board sources to provide accurate coordinates for precision attack”. The bug essentially renders the F-35 useless. Other bugs included the fact that the F-35 doesn’t know whether it’s using new or old parts. The aircraft’s computer “incorrectly authorises older/inappropriate replacement parts” according to the document. The fighter jet also doesn’t know when it’s moving too quickly: “The Integrated Exceedance Management System, designed to assess and report whether the aircraft exceeded limitations during flight, failed to function properly.” So that sounds pretty bad, too. What was supposed to be a futuristic aircraft built for stealth combat and surveillance has famously turned into a huge money pit, but it’s beyond embarrassing at this point. Back in 2012, the Pentagon slammed Lockheed Martin on the performance of the new age fighter jet, vowing not to bail the program out if Lockheed couldn’t work out the bugs in its new aircraft. Sadly, not much progress has been made since then.